Transitions between outdoor and indoor spaces are crucial to a harmonious blending of your home with nature. The easiest way to make such transitions natural is to introduce plenty of natural light through windows and doors. This translates to open visual lines that connect your home’s interior with outdoor plant and animal life as well. Consider these visual lines as you design the transitions between interior rooms. While you’ll want to protect privacy through blinds and curtains that you can close when it makes sense, open visual lines between rooms with windows make your home feel brighter, more spacious, and more connected to nature. Whether by building a rooftop deck replete with planters and plenty of comfortable outdoor dining and lounging areas or simply creating a shaded ground-floor deck, one way to encourage yourself to connect with nature is to craft inviting outdoor areas where you can comfortably relax. Designing an outdoor space you truly enjoy is a great way to effortlessly connect yourself and your home with the natural world. Of course, the opposite principle applies as well. Inviting nature indoors can be as simple as an architecturally subtle decision to vault ceilings, thereby introducing more natural light and mimicking the spacious openness of the sky. It can also be as bold and creative as constructing a home with a naturally-shaped indoor pool; it’s no surprise that this same home also features a centrally-located, full-sized, indoor tree that spans two stories. One of the classic ways to blend your home with nature is to incorporate natural materials into its construction. From terra cotta tiles to hardwood flooring to marble mantelpieces to butcher block countertops, there are seemingly endless choices for natural materials that add interest to your home’s overall design through texture, color, and pattern. As you renovate your home, think not only about your choices for naturally-occurring materials, but especially about your choices for materials that occur naturally in your particular geographical area. “Going the extra mile” in biophilic design often means coordinating your home’s aesthetics with its particular location. Finally, one of the best ways to blend your home with its natural surroundings is to respect the green space you already have. This Lincoln Park whole home renovation, for example, honors outdoor space by preserving green areas without compromising indoor living space. While not possible in every scenario, the urban tradition of building vertically is a wonderful way to honor nature near your own residential home. 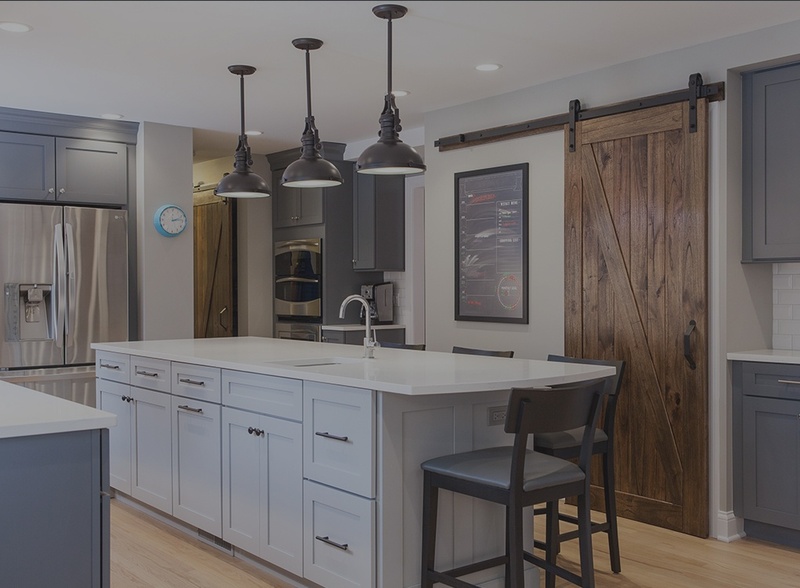 We welcome the opportunity to talk with you about how you can incorporate each of these design choices in your own Chicago North Shore area remodel. *Blog Photo Credit - The Frank Lloyd Wright Foundation "Falling Water"